W.O.R.D. of the Week Debuts! 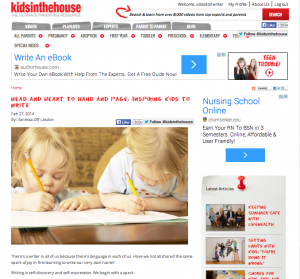 “Head and Heart to Head and Page: Inspiring Kids to Write” — KidsInTheHouse.com Founder Leana Greene asked if I would write an article on how to inspire kids to write and I jumped at the opportunity to share my experiences and resources with one of the most popular online parenting hubs available! I’m so proud of our 20-page course catalog featuring S.T.E.A.M., reading, writing and language courses, as well as our “Build-It-Yourself” workshops in technology, design, creative arts, professional writing, private tutoring and test prep. 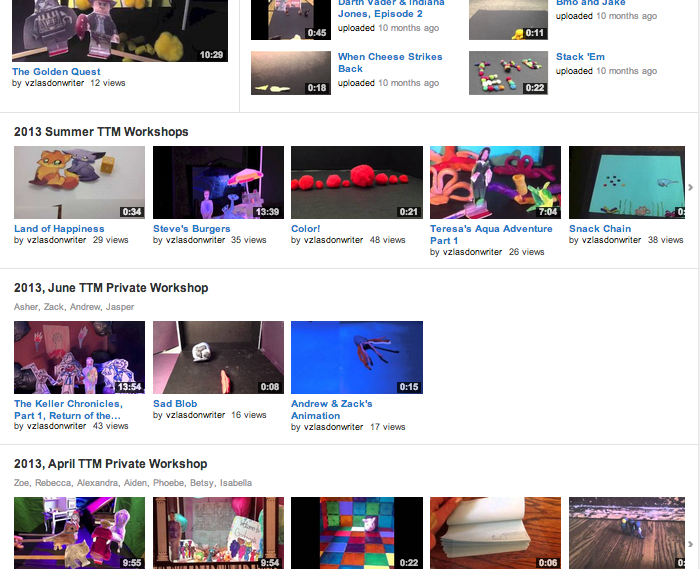 Every spring and summer, I keep families up to speed on our daily workshop activities through our Tumblr blog, which enables me to capture the kids in action via video, sound bites, and hilarious, often poignant dialogue right in the moment of creative action. Our hands-on, academic workshops are always super fun and pretty unforgettable experiences! So, you’re a writer. But are you living a writing kind of life? Are you writing every single day? 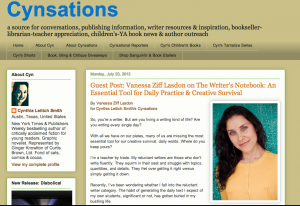 In this guest blog post for Cynsations, July 2012, I focus on how to bring the writer’s notebook back into your busy daily routine as one of the most essential tools for creative survival. You don’t have to be a teacher to appreciate the 6 Traits of Writing. 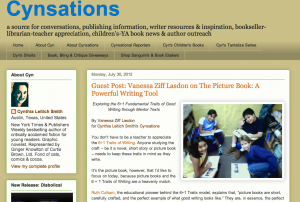 In this guest blog post for Cynsations, July 2012, I explain why anyone studying the craft of writing and storytelling should keep these fundamentals in mind while exploring picture books as bite-sized mentor texts. Where do our best stories come from? What shapes our voice? 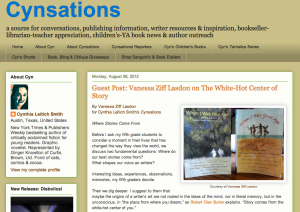 In this August 2012 guest blog post for Cynsations, I explore the narrative power we all possess through two memoir collections of award-winning children’s writers who journey in time to places of white-hot memories and moments of personal transformation. 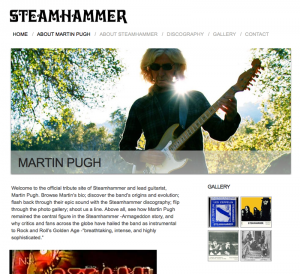 Martin Pugh, musician and lead guitarist for the legendary bands Steamhammer and Armageddon, wanted to create a tribute site to connect with fans, as well as establish his own online presence. 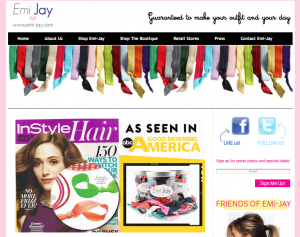 I provided web content strategy, development and copyediting services for the site. 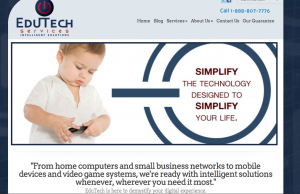 EduTech Services, a consumer technology consulting company, came to me for website content and design strategy, content development, and copyediting for their new startup. We will continue to work together as their site evolves and expands. 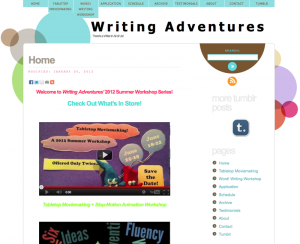 I created Writing Adventures as a homebase for the student workshops I teach in Los Angeles, such as Tabletop Moviemaking, Writing Skills, and Digital Storytelling. The site is being treated to the W.O.R.D. 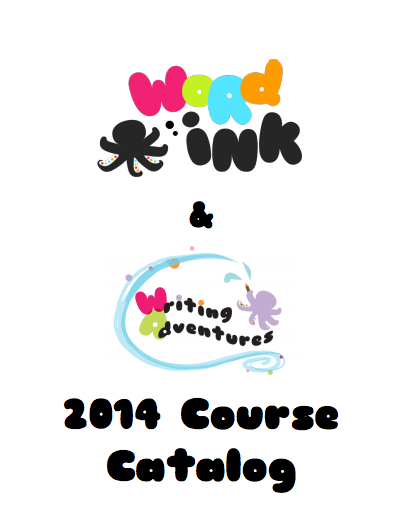 Ink “WORKS,” which you can find on the Digital & Print Media Page. 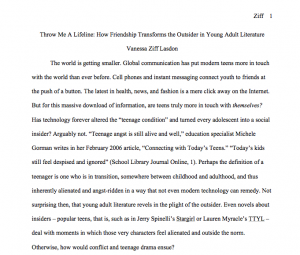 I wrote this essay while working with editor Marc Aronson in my MFA program. 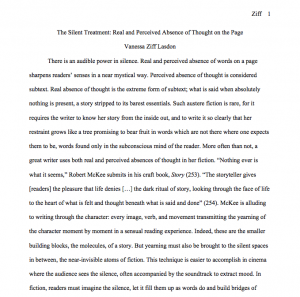 The essay analyzes the audible power of silence in literature, as captured by the real and perceived absence of thought on a page, referencing poets Issa and Mary Oliver, and such authors as Carolyn Coman and Rita Williams-Garcia. If you are interested in reading the full-length work, please contact me. This piece was also written while working with editor Marc Aronson. The essay tackles the questions: Who are outsiders? Who are true friends? How does a friend, like a lifeline between adolescent transitions, transform an outsider in young adult literature? And why do these themes still resonate for today’s teens? If you are interested in reading the full-length work, please contact me. 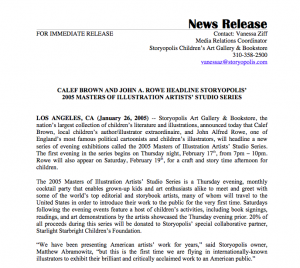 One of many press releases I wrote while working as Media Relations Coordinator for Storyopolis Children’s Art Gallery & Bookstore in Los Angeles. The release announces two prominent children’s illustrators, Calef Brown and John Alfred Rowe, to headline Storyopolis’ Artists’ Studio Series, in partnership with Starlight Starbright Children’s Foundation. 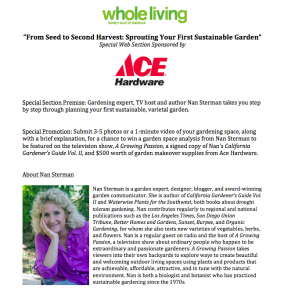 “From Seed to Second Harvest: Sprouting Your First Sustainable Garden” is a special web section proposal I developed while earning my Digital Journalism certificate. The section includes a contest, web video series, content and ecommerce ideas, and social media elements. On the back end, I outline a project timeline and tasks, marketing goals, and ongoing development. 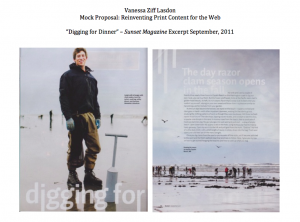 The premise of this print-to-web content conversion proposal is to ‘webify’ a dynamic feature article in Sunset Magazine titled “Digging for Dinner.” Included in the proposal are promotion and ecommerce opportunities, reader engagement strategies, content and inbound marketing ideas, and multimedia options. 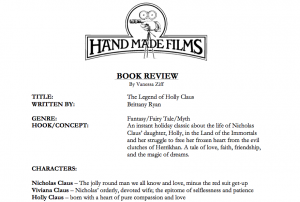 One of many option-for-film book reviews I developed as a children’s storybook consultant for HandMade Films, known for notables like Monty Python’s Life of Brian, Time Bandits, and the children’s movie, Eloise. The Legend of Holly Claus is an instant holiday classic about the life of Nicholas Claus’ daughter and her struggle to free her frozen heart from evil clutches. It’s a tale of love, faith, friendship, and the magic of dreams. 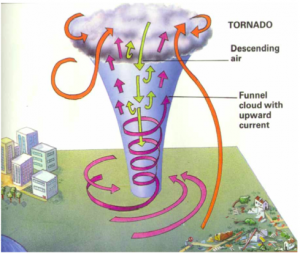 In this article proposal for Appleseeds Magazine’s July 2009 “Energy: Using It and Saving It” issue, published by Cobblestone, I describe the ways in which scientists are harnessing renewable energy from manmade tornados to power small cities in the future. Talk about clever cyclones! Spring forward. Fall back. This is a second article query for Appleseeds Magazine’s July 2009 “Energy: Using It and Saving It” issue, focused on the energy debate over Daylight Saving Time. The article looks at the history, rationale and debate behind DST, with a call for kid readers to decide its value for themselves. 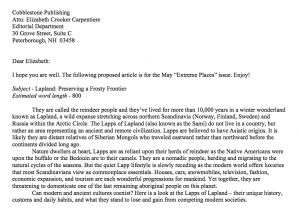 “Lapland: Preserving a Frosty Frontier” is a query for the “Extreme Places” themed issue of Faces, a children’s magazine published by Cobblestone. Can modern and ancient cultures coexist? Here is a look at the Lapps of Lapland – their unique history, customs and daily habits, and what they stand to lose and gain from competing modern societies. Emi-Jay creates hair ties and headbands handmade by 15-year olds Julianne Goldmark and Emily Matson, and beloved by celebs like Kim Kardashian, Heidi Klum, and Oprah. Equally irresistible is that a portion of proceeds is donated to eight different charities. Julianne, a Curtis School graduate, describes how she juggles running a business and maintaining great grades. It all starts with a winning attitude. 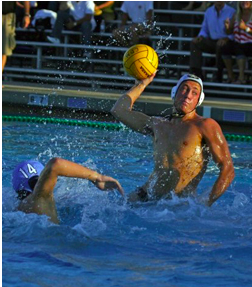 Champion water polo athlete James McNamara is a big fish in a big-time pond, now attending freshman year at Brown University, and fulfilling a dream held since his elementary days at Curtis School. Behind the acrobatic movements of a water polo match is a relentless competition of endurance, strength, agility, sport IQ, and self-discipline — all attributes essential to James as an elite competitor. Palm-sized moviemaking in an hour. That’s Brick Maier’s specialty. In this proposal for Edutopia’s digital magazine for progressive, public K-12 education, I profiled the founder of Tabletop Media. 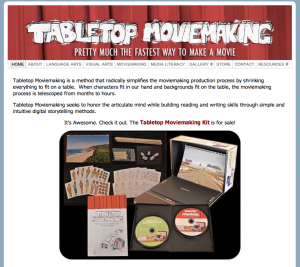 The former language arts teacher has created a way to shrink the moviemaking process down to a table-size scope using handheld characters and props, and a flipbook of backgrounds. Running iMovie on an iPad2, kids simply frame, shoot, edit and export. 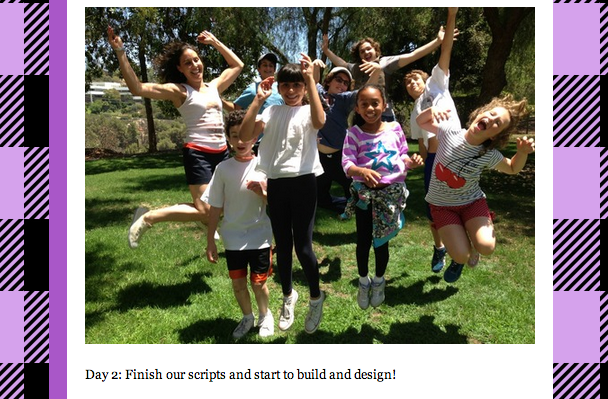 Tabletop is partnered with the Young Storytellers Foundation, bringing the creative arts to underserved students around Los Angeles.